We help you blast, sand, grind, and much more. We specialize in sand blasting media, equipment and replacement parts. We have a blast cabinet in-store to test blast your project. You'll always leave with the right media at Abrasives Spokane. 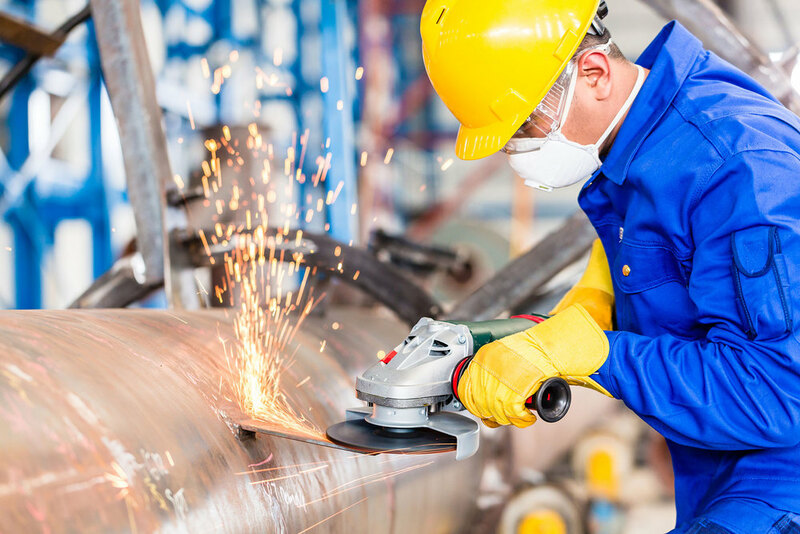 Whether you're in the metal fabrication industry or just need help with a home project, we are your source for grinding, sanding and abrasives supplies. For your convenience, we have an in-house buffing wheel. So we can help you test the parts you need to ensure you get the results you desire. Our industrial grade products are superior and last much longer, saving you time and money. We are committed to helping our customers find the best quality products to get the job done right. Whether it's equipment or media, let us help you find the best fit for your needs. Our industrial grade products will save you time and money in the long run, versus using economy brands. We are here to help you understand the benefits of all the products available to you, so feel free to ask. We want to make sure you stay safe on the job site, whether it's a blast helmet and respirator, leather gloves, or ear plugs, we carry a large selection of supplies. At Abrasives Spokane we will explain the function and benefit of each product so you have a clear understanding of how to keep your working environment safe.